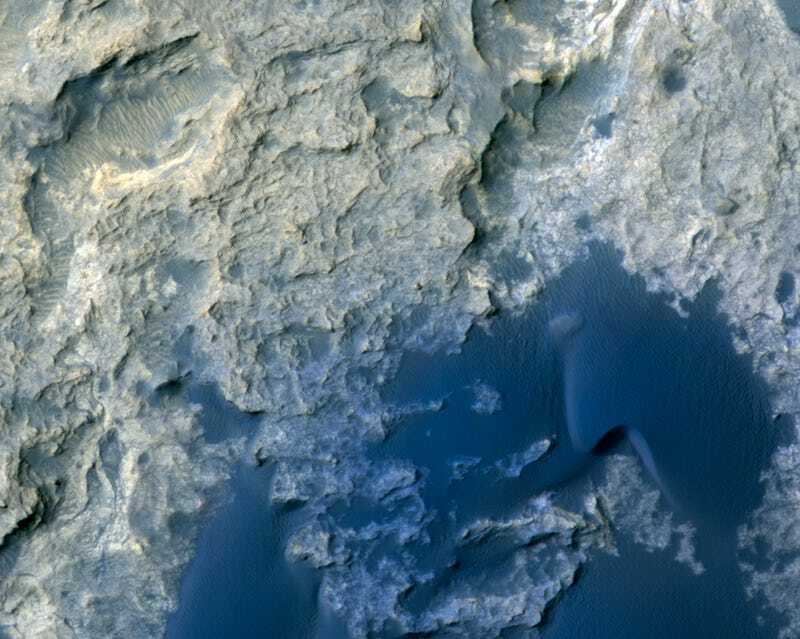 A remarkable new image captured by a satellite in orbit around Mars shows the Curiosity rover as it explores the barren landscape. Curiosity is currently investigating the Naukluft Plateau, which is just north of the Bagnold Dune field. A newly released photo taken by the HiRISE instrument on board the Mars Reconnaissance Orbiter shows the rover as it’s trundling across the Martian surface. Located within the the Naukluft Plateau are sandstone outcrops known as the Stimson Foundation. Looking at the image, it doesn’t appear that the four-wheeled probe is leaving any tracks behind. But that’s because this expanse of bedrock doesn’t contain much sand or dust that could be displaced by its wheels. Below is a zoomed in view. 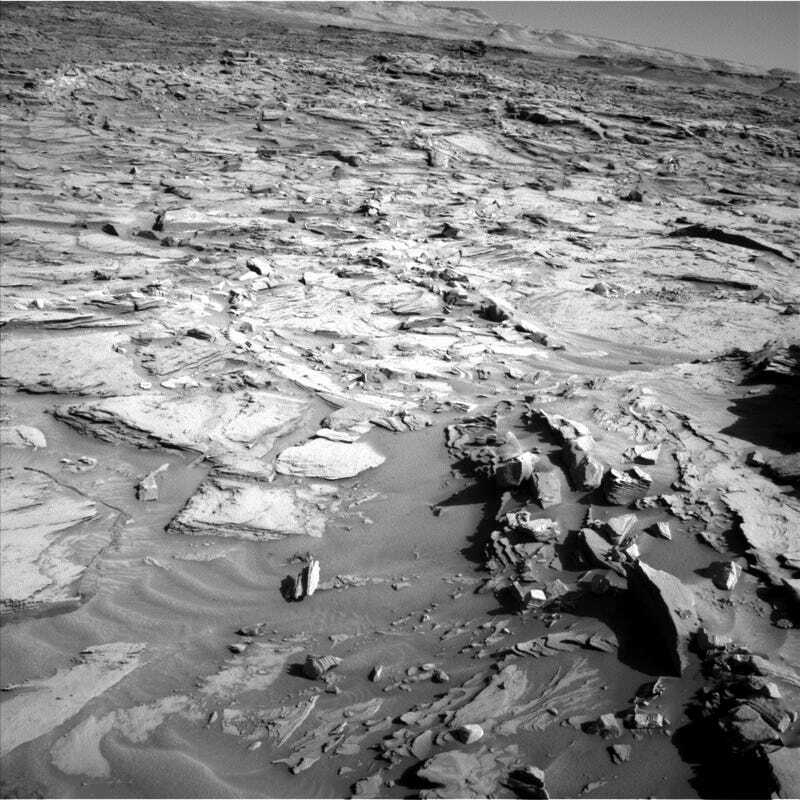 The image below was taken by Curiosity and it shows what the area looks like from the surface.